The Ritz Paris is perhaps one of the most famous hotels in the world. It is the epitome of glamour and has attracted some very famous guests in its history including – Princess Diana, Coco Chanel, Ernest Hemingway, Jean-Paul Sartre and Elton John. Well I happen to fall into that category of not being able to afford it. Still, as someone who is weirdly obsessed with hotels and their drinking establishments visiting the Ritz was at the top of my list. More importantly, I wanted to get my drink on at one of the best bars in the world – The Hemingway Bar. 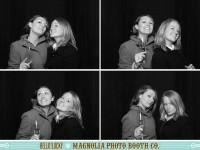 Since the Ritz is a pretty classy joint, naturally, there was a dress code to get into the bar. I had been out slumming through Paris’ underground labyrinth known as the Catacombs, so I was looking more shabby chic than smart casual, but I still decided to give it a whirl. Now one might assume that a dress code means stuffy and elitist, but in this case you would be wrong. 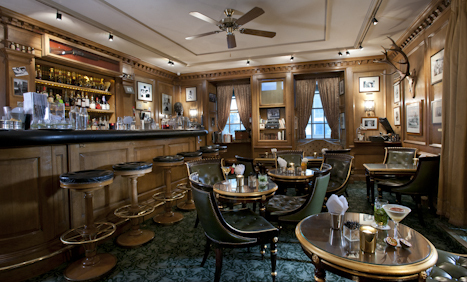 The Hemingway Bar is warm and inviting. It is one of those places where time stands still and you forget whatever is ailing you and are completely present in the moment. For such a grand reputation, the space was surprisingly small. But its size creates an intimate environment that helps foster conversations between patrons, which consisted of locals as well as those who had traveled from all over the world. The dimly lit space is classic old school with its dark wood bar and big leather chairs. Ernest Hemingway photos and memorabilia adorn the walls. And behind the bar is an old phonograph that croons tunes from yesteryear. I decided to order the Serendipity, which is the house cocktail. The bartender said that they serve 60-70 of them each night. The drink is described as “100 percent French” since it is made with all local ingredients. 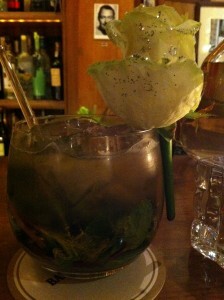 It includes Calvados pays d’Auge le Compte (apple brandy), fresh mint, sugar, apple juice and Ritz champagne. If you are a lady then your drink comes special with a rose. The drink itself has a refined taste that is both refreshing and effervescent. One cocktail is rarely ever enough though. So, I followed the Serendipity up with a French 76. It is a concoction of vodka, lemon juice and sugar mixed with Champagne. It is a delightfully fresh drink that goes down easily. I stayed there for hours. The seats next to me kept changing, so I got to meet lots of wonderful people – locals and tourists alike. It was one of those nights that wasn’t so out of the ordinary, but somehow felt special and memorable. It was my favorite night in Paris. If you are looking to check out the famed Hemingway Bar, you best get there soon. Starting this summer the Ritz Paris will be closed for 2+ years, so that it can get a complete makeover. I can only hope that the Hemingway Bar doesn’t lose any of the charm that makes it such a unique location. Thanks so much for the comment, Colin! 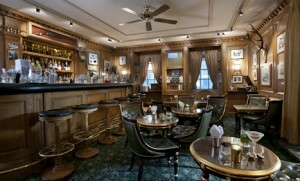 I hope the Hemingway Bar will be returning when the Ritz re-opens. Visiting the bar is still one of my favorite memories.